Such a high level of income disparity raises several questions, not the least of which is the extent to which it subverts democracy. With Prime Minister Modi talking about ‘vikas’ (development) at every breath, a legitimate question arises from this data: whose development is he talking about? Is it development for the top 1 per cent, or for the top 10 per cent, or the poorest 60 per cent? Such stark disparity in wealth shares provides fuel for social unrest and rising crime. It increases disaffection and threatens to tear apart the fabric of the nation—it puts enormous strain on nation-building if the share of the majority in the nation’s wealth is less than 5 per cent. This is what is happening in large parts of India. Has inequality gone up in India in recent years? The Gini coefficient is one way of measuring inequality, with a reading of 100 per cent denoting perfect inequality and zero indicating perfect equality. According to Credit Suisse, the Gini wealth coefficient in India has gone up from 81.3 per cent in 2013 to 85.4 per cent in 2018, which shows India is heading towards perfect inequality which would be devastating. The massive mobilisation of land, water-bodies and forests over the past two decades has turned India rapidly into a rent-seeking economy, where profits are high and quick as opposed to genuinely productive sectors where they are low and slow. The fact is directly related to the growing phenomenon of political entrepreneurship in multiple forms, explaining the growing hundreds of dollar millionaires both in and outside Parliament. Inequality is the natural outcome of this process of “predatory growth”. 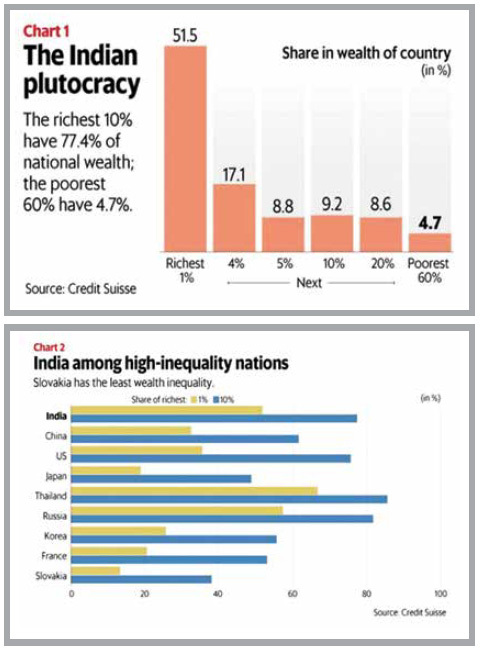 What India has been experiencing is inequality-led exclusive growth. This has accelerated in the last about five years due to the blatantly pro-profit ‘development’ agenda being pursued by the centre. Almost every project designed and pushed is big and mega—‘Demonetisation’ to generate huge profit for digital companies; petrochemicals, gas and hydro-carbon projects for the favourites; Sagarmala (costing `8 lakh crores) to capture the coast and build massive ports, Coastal Economic Zones and other infrastructure; Bharatmala (6 lakh crore) to grab land and build huge expressways and corridors to nowhere; Bullet-trains costing lakhs of crores that will run near empty. These ‘Infrastructure’ projects would put billions and millions in the pockets of the top 1 per cent and 10 per cent, respectively, through lucrative contracts and cash-transfers via the Viability Gap Funding route which has become a major fraud. Towards this end thousands of hectares are being acquired all over the country by National Highway Authority of India (NHAI) adopting Stalinist methods! This tragic contradiction is brutally captured through the metaphor of “the drunken stunted dog” (Churning the Earth, Penguin 2012): “Imagine a puppy which is fed a special kind of diet which distorts his growth so that one of his legs grows astonishingly fast, while the other three get stunted to various degrees. Now imagine that the puppy grows into a dog of sorts, gets drunk and begin to spin around the house in ecstasy-the hangover and the diseases lying in wait…….” In today’s context, the special diet is the project packages of billions of rupees specially designed and delivered to the corporate carpetbaggers who are already filthy rich and the drunkenness refers to the delirious contractors and stock market and the hangover and diseases will follow the economic crash which is already staring at the nation! 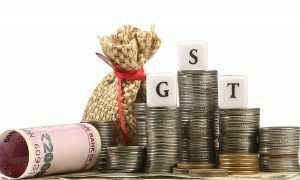 WHILE so the NITI Aayog, Central Government’s “Big-ticket” Think Tank has come out with a vision document stating that a growth rate of 9 per cent is essential to generate enough jobs and achieve universal prosperity: “This will raise the economy’s size in real terms from $2.7 trillion in 2017-18 to nearly $4 trillion by 2022-23.” If we go by the past record most of this $4 trillion would go to the top 10 per cent hastening the path towards perfect inequality! To start with ‘Development’ agenda should shift from pro-profit to pro-people, particularly the subalterns. They are the ones who are deprived of ‘basic necessities and security’ by the predatory model of development and most of them live in the vast rural hinterland. To make it equitable, subaltern model of ‘development’ should be democratic and decentralised (D3). It should also be sustainable. The basic concept of sustainable development is one where livelihood activities can be carried on for any length of time, because no resources are being consumed for life-support systems other than those which can be replaced. 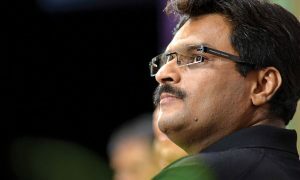 D3 should have at its core rejuvenation of the grassroots-not just agriculture but the rural economy as a whole. This economy has three sectors-primary, secondary and tertiary. These comprise of food crops, cash crops, fodder crops, oilseeds, horticulture, plantation, animal husbandry, aquaculture, poultry (all primary); food processing, agro-industries, dairy, equipment manufacturing (secondary); and agro-related services such as warehousing, transportation, cold-storage, input supply, technology, etc., (tertiary). All the three sectors should be combined in the agro-activity centered growth strategy.The main object would be to raise the income of the farmers and generate large-scale employment for the agri-labourers by upgrading their skill levels and imparting appropriate training. Decentralised energy generation and distribution would be an integral part of such strategy to overcome the chronic power shortages and poor quality of power. 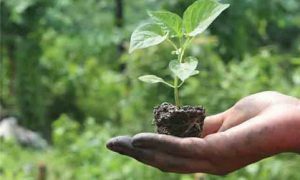 Agro-Technology Institutes to train rural youth in entrepreneurship and provide skilled manpower for the multifarious activities should also form an integral part. Farmers and farming are critical to nation’s life and economy for the simple reason that without the food they produce we cannot live. Food is clubbed with water and air for human existence. Of these, only food is produced, and this is what farmers do. Producing adequate food within the country is at the core of food security and sovereignty, which cannot be compromised at any cost. Food is not the only product of farming. Farms produce a whole range of products that are critical for human well-being, industrial development and employment generation. Besides it gives livelihood to vast majority of population. FOR farming to be successful its basic characteristics—location, soil health and productivity—should remain undisturbed. Farmers, unlike investors who float around, cannot just fold up and move their farms. Once they are hooked to the global economy they are easily victimised by an economic and technological juggernaut that destroys all small and localised enterprises. This is already happening. Farm incomes have sharply fallen because farmers have no control over the market price of their produce and are unable to recover even the cost of inputs. Debts are also very high. 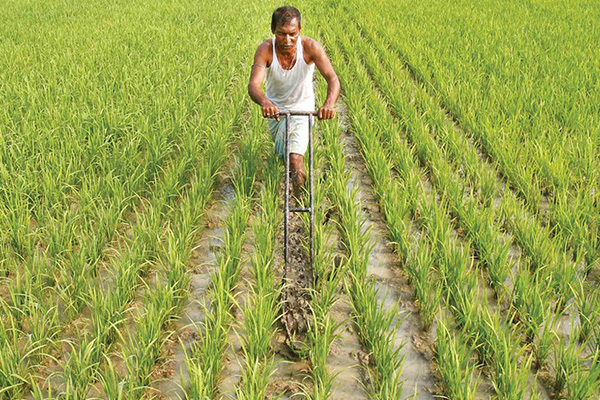 There is dire need to put the farmers on the path to prosperity through a combination of land use policy, transforming primary agriculture, augmenting farm income, diversifying and integrating rural development; making credit accessible and available, ensuring food security and rejuvenating the rural economy through appropriate entrepreneurial initiatives. Predatory development and blatant land grab by NHAI and other government/corporate agencies have triggered land wars. This is just the tip of the iceberg and worse would follow if immediate steps were not taken to counter this reckless ravaging of land that deprives livelihood for the masses while transplanting an unsustainable jobless development model. A land use strategy based on the principles of ecology, economics, equity and employment generation is the immediate need. Under this strategy land should be classified into the following categories—Conservation; Restoration; Sustainable agri-activity; Industrial and non-farm use and Urban Forestry/Agriculture and legally mandated. ONCE such a classification of the available land is made, it will be easy to promote the harmonious development of agriculture, industry and infrastructure. Sustainable agriculture is not only the backbone of the livelihood security system of the rural population, but also the main prerequisite for food security and national sovereignty. Remunerative prices for farm products is a critical requirement to uplift the farmers. Further, for boosting farm income small and marginal farmers (SMFs) should move away from ‘subsistence’ syndrome to ‘surplus’ situation wherein they earn adequate income to pay for balanced nutrition, dignified shelter, decent clothing and quality education for their children. For this agriculture needs to be redefined, its activities diversified and development integrated. Farmers with suitable soil should move towards modern “agriculture” that would include cash crops, marine farming, aquaculture, dairying, animal husbandry, poultry, farm forestry, raising or harvesting any agricultural or horticultural commodity. Processing and value addition are a must for cash-crop farmers that would include handling, planting, drying, packing, packaging, processing, freezing, grading, storing. etc. A management system for this should be put in place. Rural development has been traditionally associated with agriculture. Paradigm changes are taking place in the economy with technology advance-ment. For the farmer to benefit from these changes there is a need to shift towards integrated rural development reflecting the complex linkages and interactions within the system of overall rural development. Rural development provides an alternative to agriculture as a source of non-farm incomes and livelihoods. An Integrated Rural Development model should be developed with water and energy as catalysts. These two very critical resources are being used in a wasteful and unsustainable manner depriving the small and marginal farmers of their benefits. To achieve this, a need-based management mechanism for water and electricity should be structured and implemented in the rural areas. Watersheds and command areas would be the unit of integrating the rural economy with judicial and optimal use of water and energy. 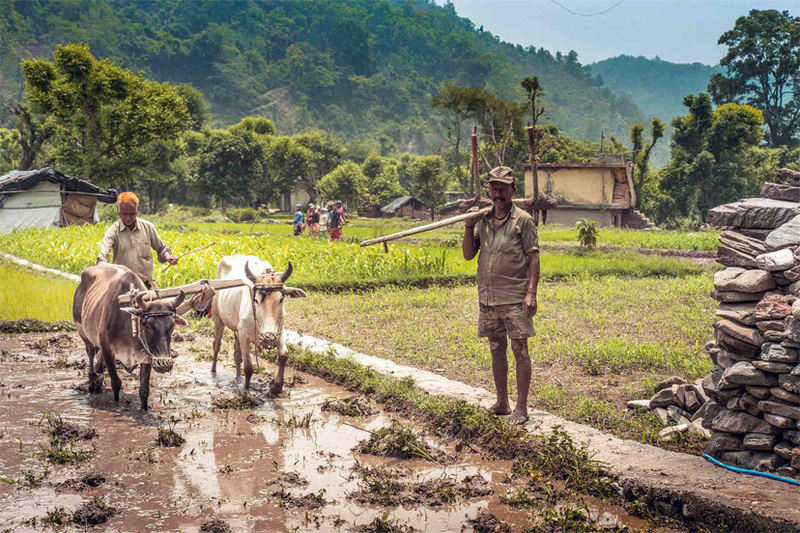 Landless agricultural labourers constitute an important segment of the rural economy. Most of them live below the poverty line. Poverty can have many dimensions-low earning and low level of skill or ability, lack of assets and access to training and education. Poor health, malnutrition, lack of shelter and food insecurity are also signs of poverty. ‘Trickle down’ methods and temporary job schemes are not enough to alleviate the socio-economic distress of this vast segment of rural population. All the above dimensions of poverty should be addressed through innovative interventions specifically targeted at the agricultural labourers. To sum up, Preamble of India’s Constitution has promised “Equality of status and of opportunity” to all citizens. As we have seen predatory ‘development’ achieves just the opposite and is a scam. In the event, the biggest pre-2014 election promise of “Sab ki saat, sab ki vikas” has turned out to be the biggest jumla! This needs to be countered and reversed.